So there has been this uptick in plastic surgery amongst people of color. One of the biggest surgeries is buttocks implants. New ASPS (American Society of Plastic Surgeons) stats showed that 2015 was another year of the rear, as procedures focusing on the derriere dominated surgical growth. Buttock implants were the fastest growing type of cosmetic surgery in 2015, and, overall, there was a buttock procedure every 30 minutes of every day, on average. The pioneers of the “big booty era” are magazines such as “King” and “XXL”. King magazine is geared toward African-American and urban male audiences. It features articles about hip-hop and R&B as well as sports and fashion. The magazine is published by Townsquare Media and was a spinoff from XXL. The magazine was started in 2002. It ceased publication on March 31, 2009, citing failing ad sales as a result of the poor economy and plans to release monthly installments soon. It resumed publication, this time as a quarterly magazine, in late 2009. It was later suspended again, and the website was sold by Harris Publications to Townsquare Media in 2014. They paved the way for women of color (of all shades) to flaunt their curves since high fashion magazines and society in general frowned on more voluptuous and curvy body types. These magazines were considered a bit seedy but found their place in front of the eyes of passer-byers because of its normalization and placement with other well known magazines. For roughly a decade these types of magazines came and went but offered a glimpse into the beauty and majesty of women of color. Today we find ourselves at a cross roads. The increase of underground surgeries, implant removals and ultimately surgical fatalities has us all pondering When is too much… too much? And hers is a story far from unique. Medical experts say it should serve as a cautionary tale for Americans who head abroad for cheaper plastic surgery, only to find they’re rolling the dice when it comes to their safety. “We studied cosmetic procedures, those not covered by medical insurance,” explained study lead author Dr. Dennis Orgill. “People are motivated because of cost, and in some cases because of cultural issues. There are many websites that advertise for these procedures. And the initial costs for these procedures in developing countries is substantially less. “Some surgeons in these countries are excellent,” Orgill added, “but sometimes it is hard for patients to tell the difference by looking on the internet.” And it’s that inability to properly vet international services, providers and regulations that ultimately gives rise to “a large public health issue,” he warned. Orgill is medical director of Brigham and Women’s Hospital’s Wound Care Center in Boston. He and his colleagues discussed their findings in the April issue of the journal Plastic and Reconstructive Surgery. 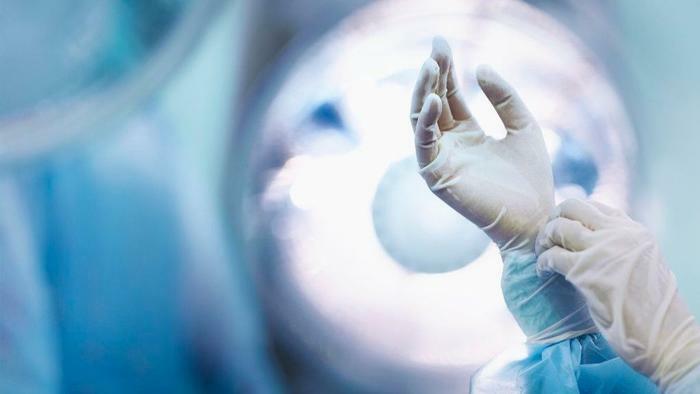 That concern was confirmed by the recent review of 78 patients (nearly all women) who had sought care at Brigham and Women’s following plastic surgery performed abroad between 2010 and 2017: three-quarters had undergone procedures in the Dominican Republic. The review also identified other problematic “medical tourism” destinations, with Colombia and Brazil topping a list that included Mexico, Venezuela, Argentina, El Salvador, China, Syria and Turkey. About 45 percent had undergone a “tummy tuck” (abdominoplasty). A third had gone in for a breast enlargement. Other procedures included a breast lift or reduction (17 percent); liposuction (13 percent); or injections of foreign substances such as silicone (nearly 20 percent). About a quarter underwent multiple procedures. Following the procedures, nearly 10 percent of the patients sought corrective cosmetic surgery at Brigham and Women’s. About 18 percent had serious infections; 18 percent had persistent pain; 8 percent had scarring; 15 percent had unhealed wounds; and 5 percent had internal scar tissue in their breast. Other issues included hernias, perforated bowels and ruptured implants, the review authors said. Eight patients had to undergo emergency procedures in the hospital’s emergency room. Dr. Jeffrey Janis, president of the American Society of Plastic Surgeons, stressed that when seeking plastic surgery, it’s important to vet both the physician and the facility. “The ASPS does not allow you to become a member unless you’ve passed a rigorous training program by the Board of Plastic Surgeons, which attests to the fact that you’ve been well-trained and can safely practice plastic surgery,” he said. “So if you go outside the U.S. you really should seek someone equally qualified. Social media models such as the Kardashians and the Hadid sisters has paved the way for the new “urban” styled models to take a strangle hold on the industry. So were does this leave the women who pioneered this trend? Back at the bottom of the food chain. What took them a decade to create, the newer forms of social media took another decade to dismantle. So once again, women of color (particularly women with darker skinned complexions) struggle to find where they fit into the equation. Next PostNext What to wear when you dont feel stylish!